Jason Katims has been somewhat obsessive about reuniting with his Friday Night Lights cast on his subsequent shows. Michael B. Jordan, Minka Kelly, Jurnee Smollett, Derek Phillips, Angela Rawna, Jeff Rosick, and Matt Lauria have all appeared in at least one episode of Parenthood, and now the first FNL alum has booked their inevitable guest spot on Katims’ About A Boy. According to The Hollywood Reporter, Adrianne Palicki will play “Dr. Samantha Lake, a love interest for Will (Bent’s David Walton)" on the adaptation of Nick Hornby's novel, appearing in at least seven episodes. 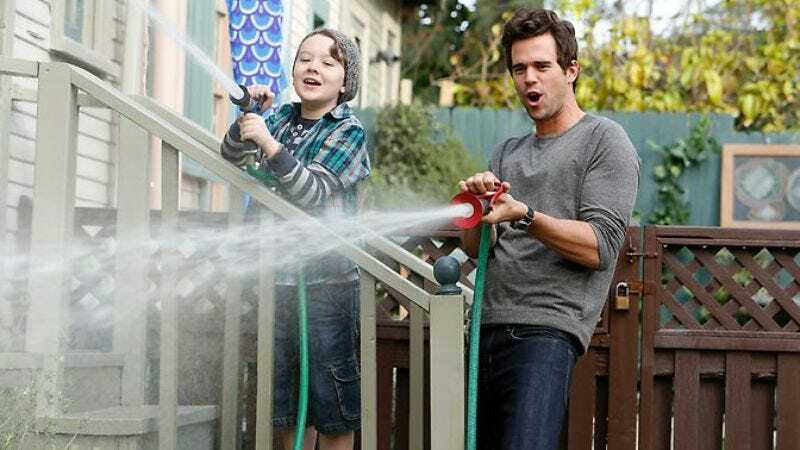 It’s not the only cast crossover Katims’ show has in store: After Walton appeared on an episode of Parenthood, Dax Shepard’s Crosby Braverman will apparently return the favor by showing up on About A Boy, since both shows are set in the Bay Area.